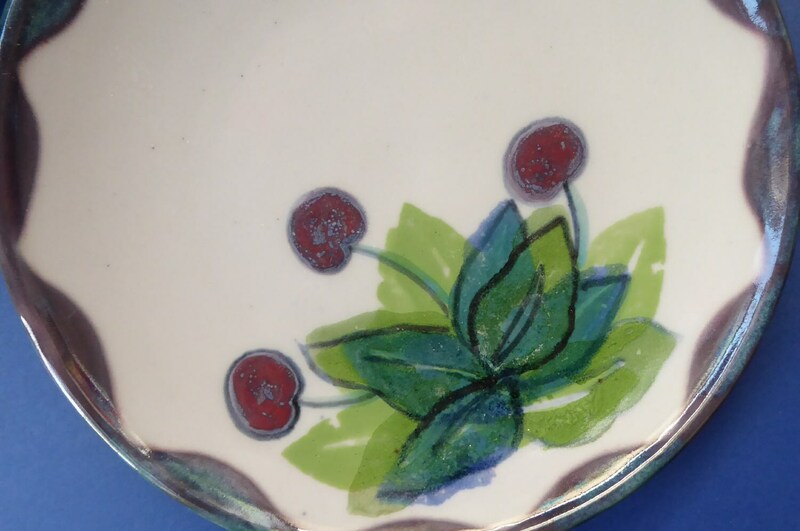 It shows a selection of Scottish wild berries and fruits - really stunning pieces for your dining table. 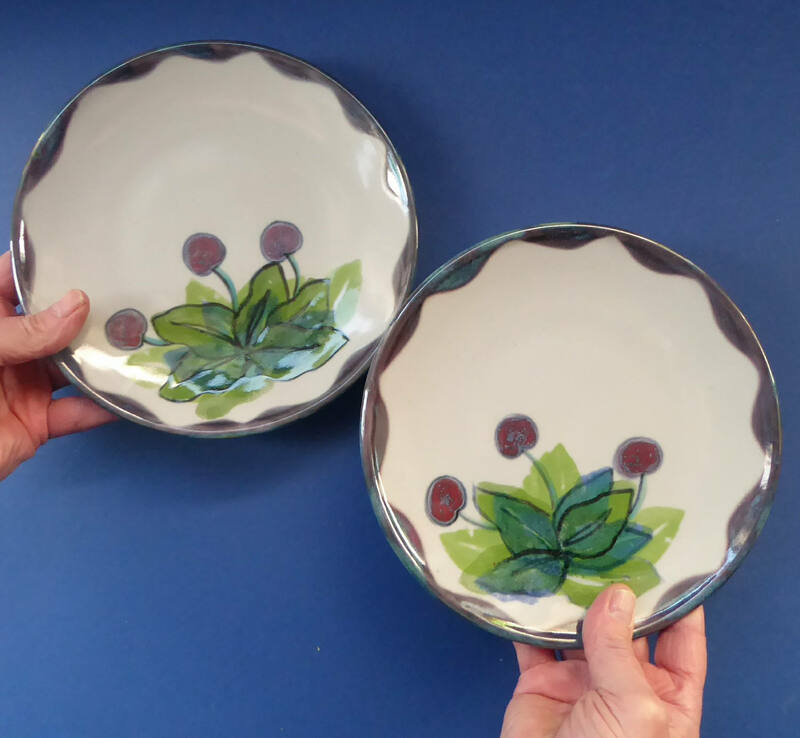 I have eight of these in total for sale in my Etsy Store (as photographed) - each SINGLE side plate is priced at £20.00. 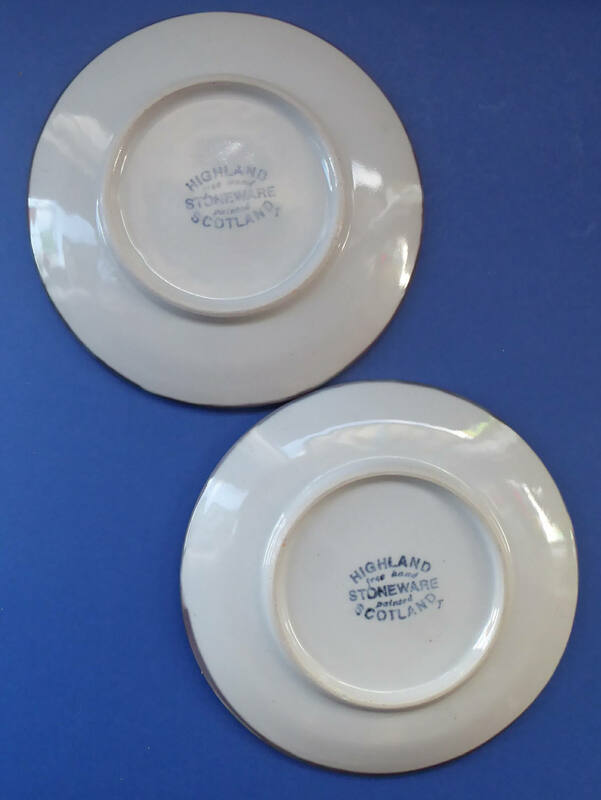 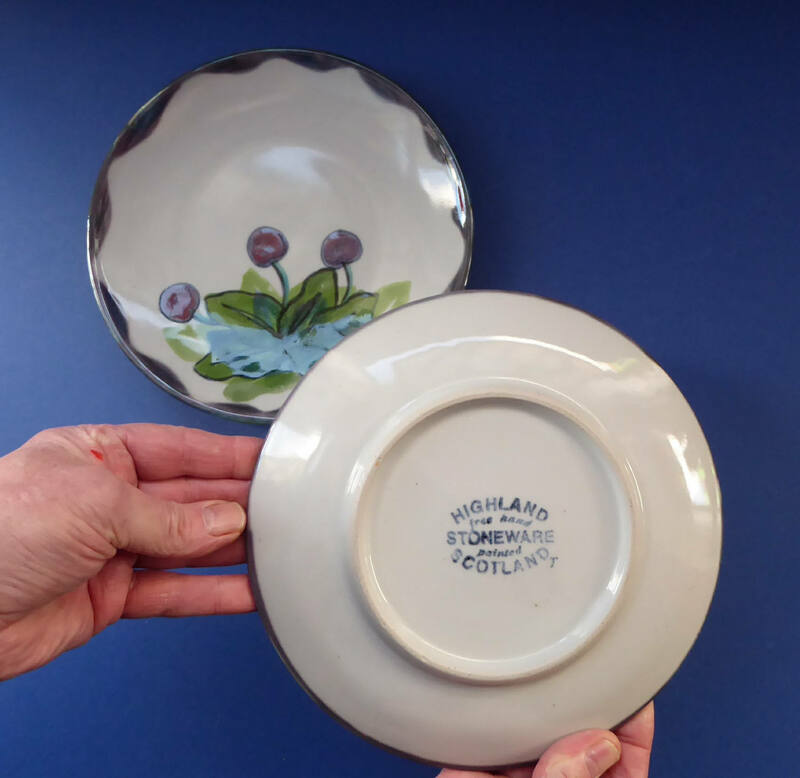 This is a highly collectable piece of Scottish art pottery. 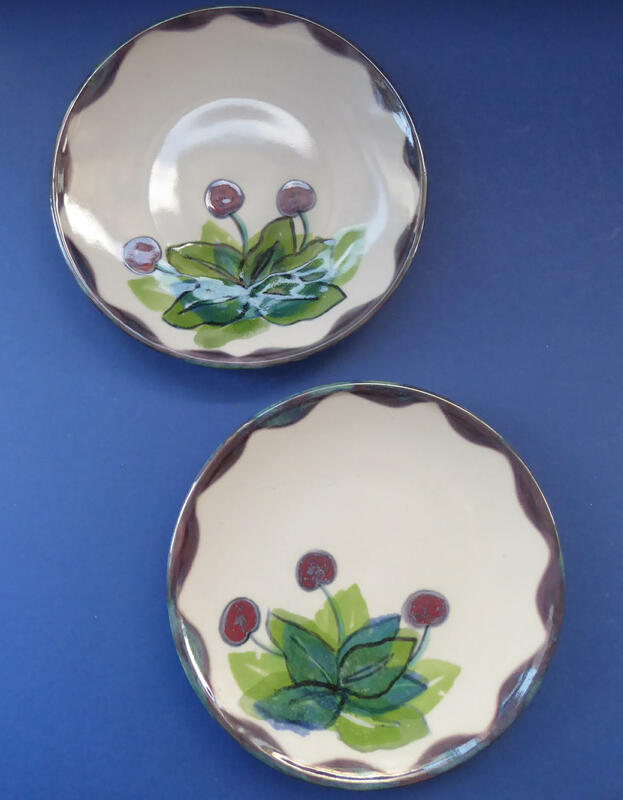 All pieces are slightly different due to being hand painted.